That was the view of tour-guide Charlie Cartwright (Ian McShane), as he prepared for “Worldwind Tour #187” in the 1969 romantic comedy, ‘If It’s Tuesday This Must Be Belgium’ – and for many people, that’s the enduring vision of package tours .. a disorganised shambles with clueless groups of travellers and a cynical guide just going through the motions. In fact, that was my perception until relatively recently .. and the reason that Shirley and I had always ‘made our own way’ on holidays. It was my son Alan who first started to break down the barricades I’d built around package tours. In late 2011, he’d just spent two years working in the UK and was about to head home to Australia. 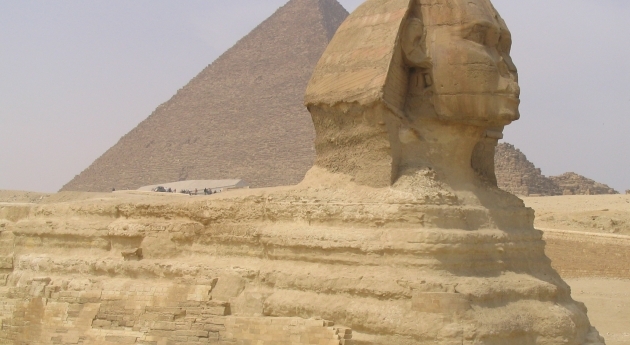 His mother and I shouted him a Geckos tour of Egypt as an early birthday present – and he told us that while it wasn’t without its faults, he still had a blast. While one of the ‘3 star hotels’ he found himself booked into was three-stars only by virtue of the fact that the owners had glued a starfish next to their two-star plaque, and had no water pressure at all – not even a dribble – above the 4th floor, he still had a ball. And the guides that arranged their transport and entry into attractions knew the hints-and-tips that meant they skipped queues, and got to see lots more than he could have arranged on his own. 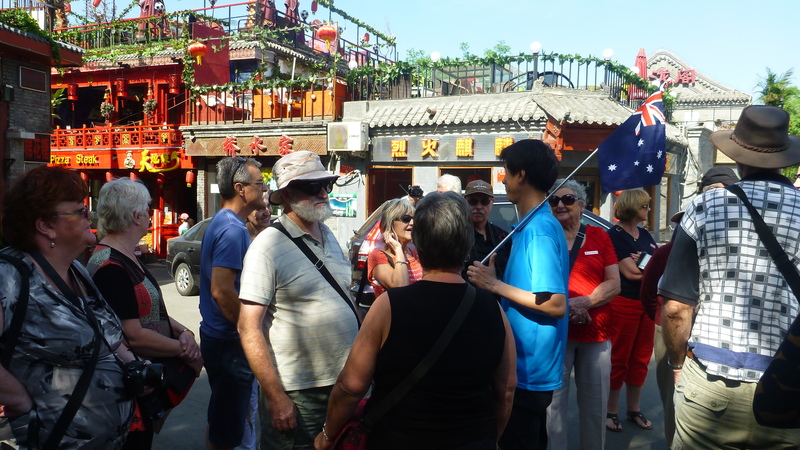 Now, Shirley and I had already undertaken our first cruise by then – so the idea of ‘group travel’ wasn’t entirely foreign to us .. but even so, it was mid 2013 before we went on an ‘organised travel package’ as they are known in the trade – to China. So, how was it? Well, we are about undertake another package tour – this time to Vietnam, so they obviously aren’t as bad as I thought. But in the meantime, we’ve also gone on self-arranged trips to Fiji, California, Las Vegas, a cruise to New Zealand, back to the US, a cruise across the Caribbean, Atlantic, Mediterranean and Adriatic, plus self-organised side trips to Venice, Rome and Abu Dhabi. I have to begin by saying that the package tours we’ve booked have been cheapies booked via groupon/scoopon/dailydeal type places.. the nine days in China cost us around two thousand dollars each (including airfares) and the Vietnam one is a little under $1k for 14 days – but we have to make our own way to and from Vietnam. 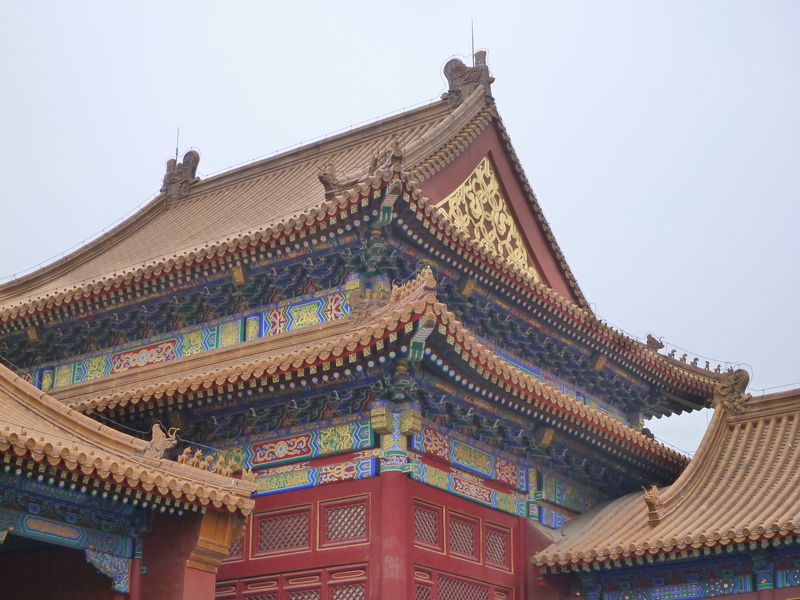 And the ‘nine days’ mentioned for China is a bit deceptive: the first day was spent flying from Australia to Beijing, and the last day flying home again … but it was still not a bad price for ‘all inclusive’ travel. Our China tour got off to a delayed start. Our plane to Shanghai was late to start with, and then we were delayed at Shanghai airport for some hours while our connecting flight to Beijing circled around a storm in the South China Sea. 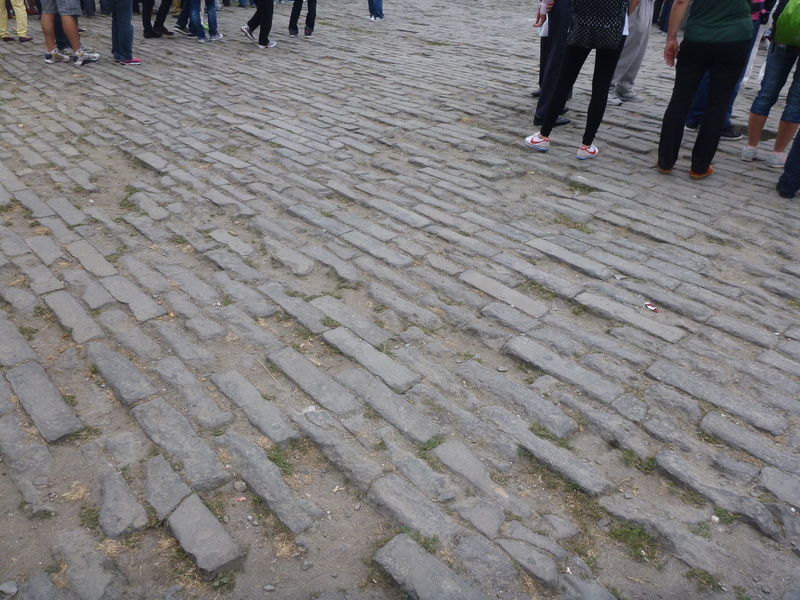 Our tour guide didn’t meet us until we got into the Chinese capital, so for a while there we had no idea what was going on! That’s one of the down-sides of package tours – they have to be organised down to the minute, meaning that if anything goes wrong (and it inevitably does), you play catch-up for the rest of the day. But the flip-side of that coin is that you still get to see all the attractions on the schedule – you don’t have to skip any because your transport timetable no longer works, or whatever. I suspect many an independent traveller has ended up leaving their destination with sights still unseen – because they spent too long deciding where to eat, or failed to allow for the extra time wrought by language difficulties, or simply dithered over where to go and what to see. 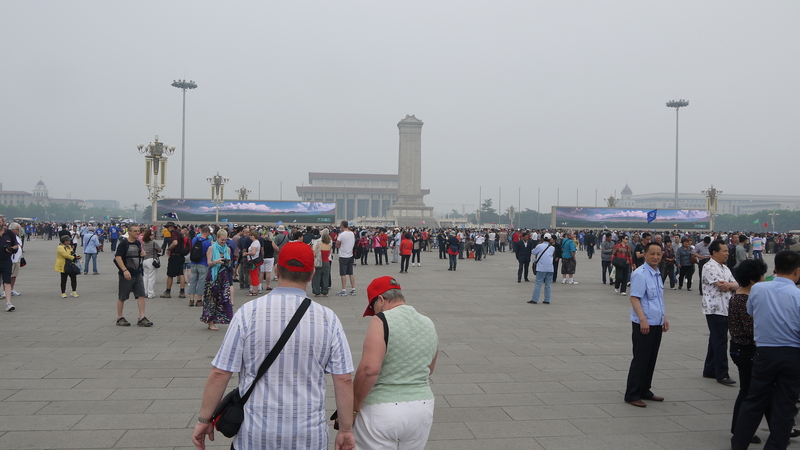 In our case, we didn’t have that luxury on our tour – we were on the move in Beijing traffic at the allotted time, and off to Tiananmen Square,which was impressive, and crowded, and noisy, and crowded, and full of hawkers, and crowded. Did I mention that it was crowded? 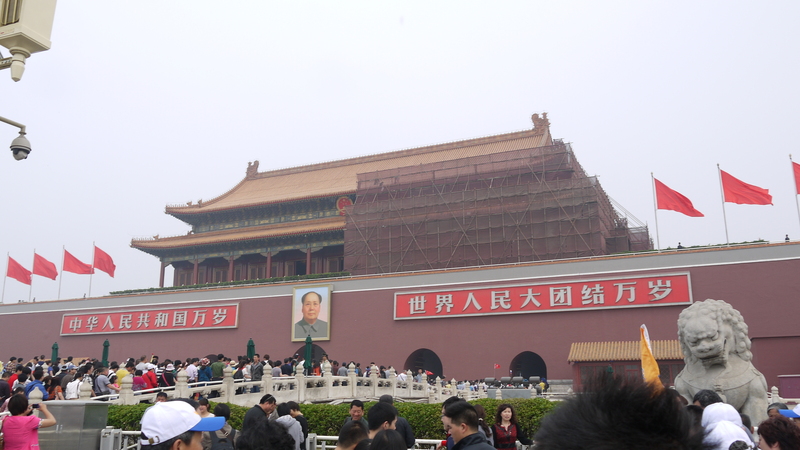 After Tiananmen Square, it was time for the Forbidden Palace – and here, we were delayed again. Our guide disappeared for more than half an hour, and we were all left standing around examining the walls, and haggling with the hawkers. He later reappeared, telling us something about unexpected cultural study groups and longer-than-usual delays for getting tickets. 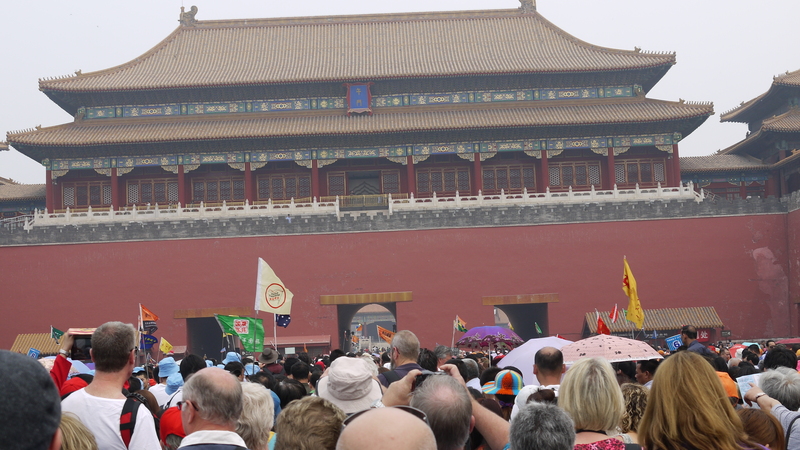 I am left to wonder .. if a professional tour guide took 30 minutes to get tickets, how long would it take an independent traveller who didn’t speak Mandarin? Anyway, we didn’t get to enter many of the 10,000 rooms in this edifice – but the sense of history was palpable. 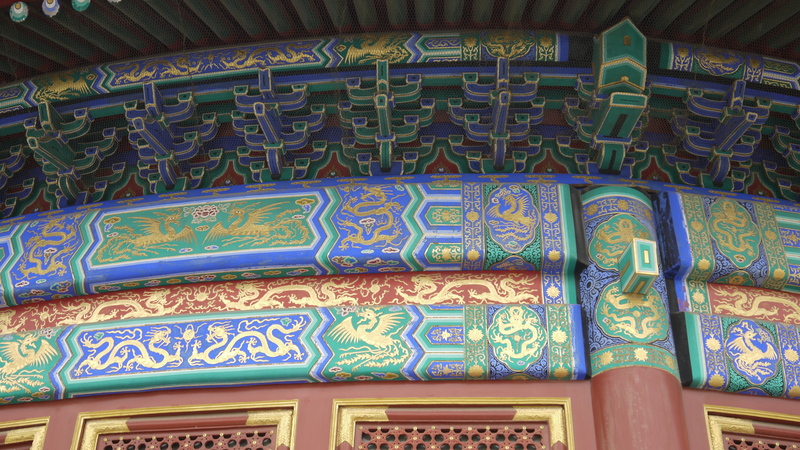 From giant urns which acted as fire-fighting cisterns to paving that has been worn away by millions of pairs of feet; from ornate cornices to imperial offices; all overseen by thousands of people from all over the world – almost all in tour groups like ours, rallying around the fluttering pennants of their guides. I’d have liked to spend more time here but time marches on and we had to go because we had lunch to eat (six or so courses!) and then a pearl factory to visit. Now this is the part of package tours that I dislike most – wasting time at shopping stops where the tour company gets a cut, versus seeing more ‘cultural’ venues. But for a significant number of those in our tour group, the pearl factory was a highlight, so you just have to go with the flow sometimes. 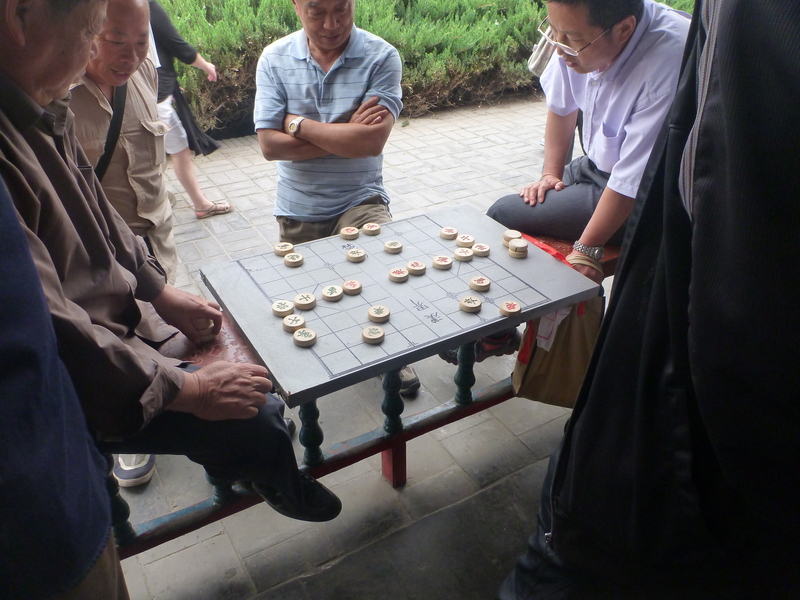 After the ‘buy this, buy that’ push of the pearl factory, it was on to the Temple of Heaven, a parkland with pavilions where locals play music, or cards, or mah-jong., and sing, and dance, and practice Tai-Chi. I found this fascinating – but I know that some others in our group were “what – it’s just a park?” As I say, sometimes you just have to go with the flow. 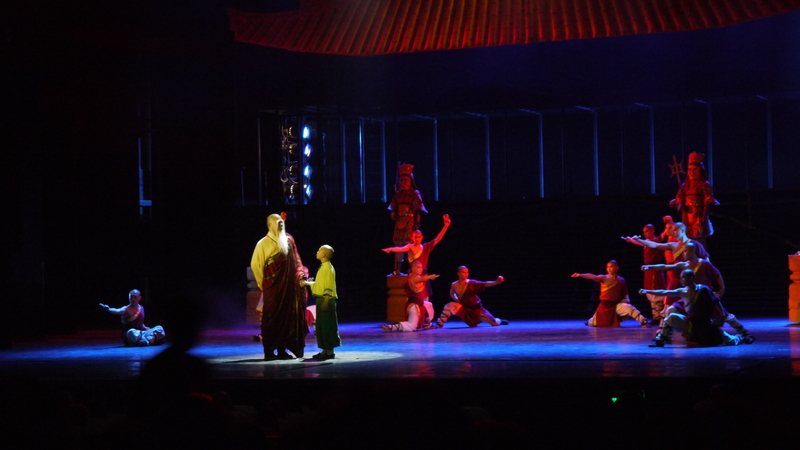 Dinner was again a multi-course affair, and then a ‘Kung Fu Spectacular’ – actually a musical piece on a young boy who becomes a Shao-Lin master. It was quite beautiful, and despite the very long day after very little sleep, I was really pleased that it was included on our itinerary. So that was all crammed into just a single day – and we had six more just like it to follow. Which brings me to the pros, and cons, of package tourism. The biggest pros, of course, are that you get to see and do so much, it is all organised for you, language and cultural difficulties are smoothed out (but not extinguished – it wouldn’t be much fun travelling if everything was the same as at home, would it?) and price is also a consideration. But each of those pros has an equivalent con. For example, yes you get to see lots – but sometimes it’s almost too much. I came away thinking I didn’t have time to reflect on what we had seen and done, until much later after the trip. Travel is meant to expand the mind – but travel guides can sometimes filter the experience too heavily, and you end up getting only a ‘sanitised’ view of the place you are visiting. It’s unlikely, for example, that you will eat where the locals eat, or see what the locals see. And because package tours are often sold on a price, occasionally corners can be cut – although in general terms the risk is less than that faced by independent travellers. So should you take an ‘organised travel package’? It depends, in large part, on your personality – and your available time. If you want to get the maximum ‘bang for your buck’, package tours fit an awful lot into a little time. But if you are an independent cuss, who wants to be able to change itineraries as the whim takes you, then you may find yourself being bored with some of what you are forced to endure. As for us? Well, as mentioned, we are about to undertake out second package tour in a few months – so watch this space, and I’ll let you know if our views have changed. Should I book a cruise-ship shore excursion?